LOS ANGELES, Calif. /California Newswire/ — The Calumet Gallery announces the opening of a new thematic fine art photography exhibition, 'Rust Revised,' (Oct. 3 – Nov. 3, 9 a.m.-6 p.m. Monday – Saturday) from Arizona photographer, Bill North. Calumet Photographic of Los Angeles will host an open to the public wine and cheese Artists Reception from 6 to 8:30 p.m., with an artist talk at 7 p.m. on Oct. 10, 2013. Born in Tucson and raised in Arizona, Bill became interested in photography while exploring bellows cameras as a child. He deepened this interest with photography courses at MIT from internationally acclaimed photographer and professor, Minor White. "His approach presented photography as a spiritual discipline, certainly not what I had expected, and advanced the idea that the most moving photographs were both graphic and metaphorical," says Bill. "His theory on emotional equivalents was ground breaking at the time and influenced my photography then and now." Like Minor White, Bill graduated with a science discipline and returned to Ariz., after many years in Calif. where he developed and managed high-tech computer projects. Today, Bill and his wife Deborah again reside in Tucson, where he pursues travel and fine art photography. "Rust Revised" is a study of corrugated metallic surfaces, where patches of oxidation form metaphorical symbols against troubled iron and tin backgrounds. North's exhibit of 16 images revises the surfaces digitally to bring contrast, saturation and hues that reveal an expansive range of emotions. Captured digitally, North's technical hand presents the audience with a series of re-presentation images that are universally subjective — sometimes with a minimum of intervention, and at other times, he asks us to suspend reality and simply accept what we feel. When asked about his work, North explains, "I struggled with White's sense of visual spirituality. My boyhood experiences, my days with film, were all documentation. That rigor was also part of my work life for many years. Nonetheless, I began to realize, perhaps unconsciously, how to capture an image that seemed to speak beyond the dimensional surface. Intuitively I knew that photographs are not imitative representations — and yet it was only recently that I was able to get beyond this poetic epistemology. 'Rust Revised' is a major shift in my thinking; one that has lurked within me like a latent image on film since Minor White stood in front of my class." "Rust Revised" challenges Bill's own examination of things. "Decades later, I think I am beginning to understand what my professor was trying to teach us — that the best photographs aren't just about the 'things.' They are really about how we see things and how we feel about them; how the light informs them, conceals them, reveals them, or transforms them. In rare instances, the 'thing' itself becomes almost incidental, acting like a catalyst to reveal shapes, forms, and structures that can take on a meaning, life and dimensionality of their own." The "Rust Revised" exhibit balances raw perceptions of reality through recognizable symbolism against images of advanced abstraction. North delivers structural work with the purpose of seeing things beyond the classical task of categorizing and confirming. A faint sense of Arizona petroglyphs scamper across blue tin, pastels with vaporized saturation, rust trails wander along gray trails of oxidation, and splashes of metallic colors exist for — existence. Viewers of "Rust Revised" will sense North's attention to detail and the manner in which each image combines a sense of space and minimalism: "As a photographer, if I am quiet enough within, and respectful enough of the subject without, a kind of trust emerges, and I am allowed a momentary glimpse beyond the surface. This exhibition is a collection of some of those moments for me." Sabrina Valdez, Manager of Calumet Gallery, said of North's work, "Bill's exhibit is emblematic of our outreach efforts to find and present photographers with visual voices that matter. His work is indicative of the depth and breadth of photography exhibits that Calumet presents, and we invite the public to explore this exciting work and to meet Bill at the reception." 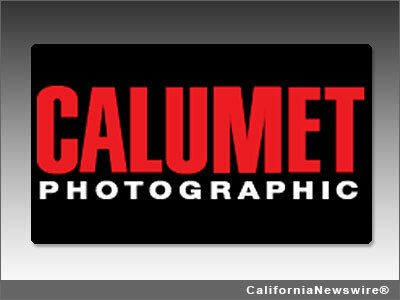 Calumet Photographic, 1135 N. Highland Ave., Hollywood, CA 90038.